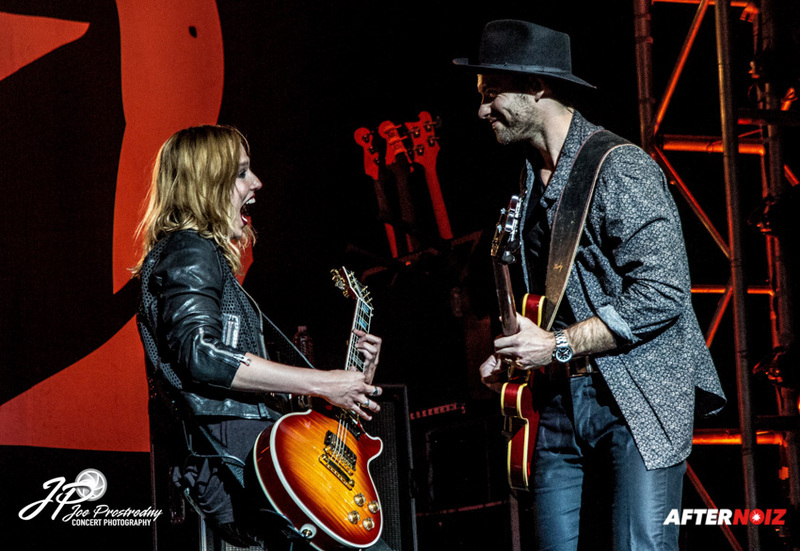 It was billed as “A Wild Evening with Halestorm”, as if there could be any other kind! 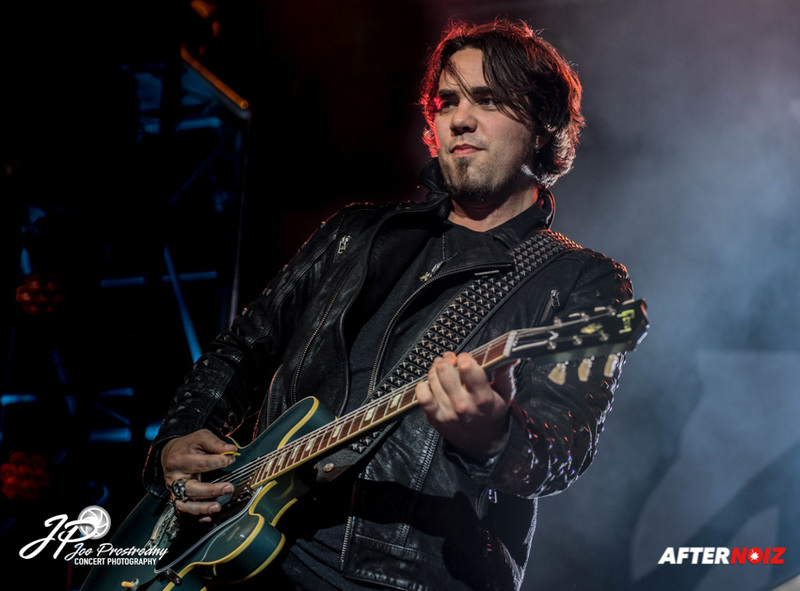 The tour was sponsored by Jagermeister and was billed as a double set of Halestorm songs with no opening bands. 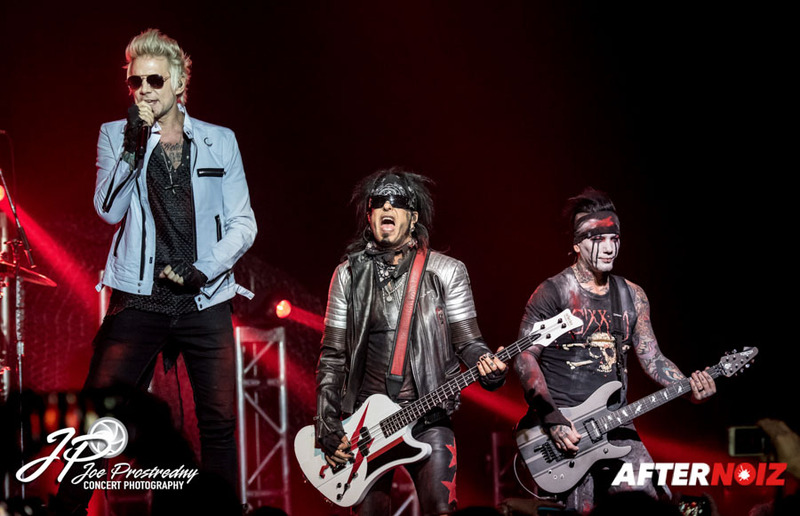 As lead singer Lzzy Hale put it… it was a night to do whatever the **** they wanted… and obviously what they wanted… what they always seem to want… was to give their fans a great night to remember! 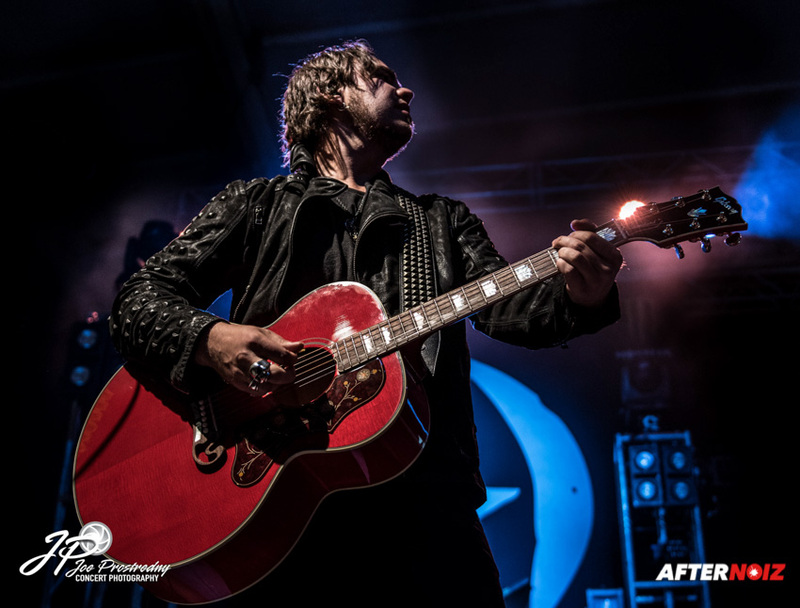 The show started out quietly enough… the calm before the storm, as the first set was acoustic. 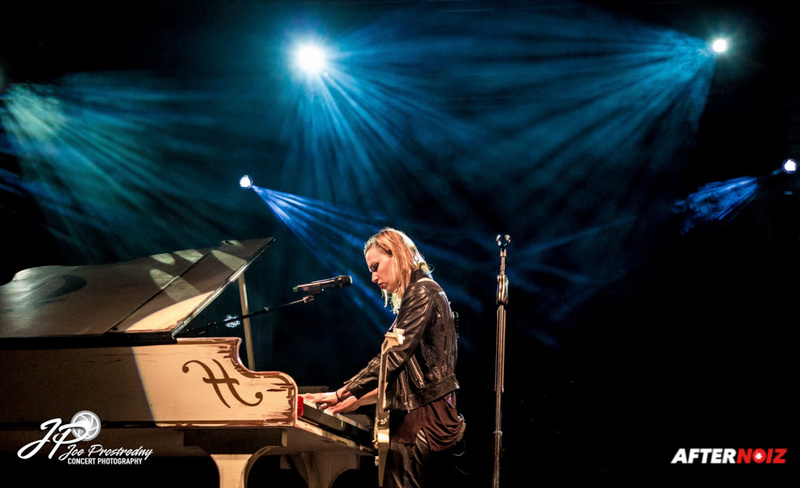 Lzzy took the stage first to play a grand piano while singing the beautiful ballad “Beautiful with You”. Despite the acoustic set the fans were crazy from the start. 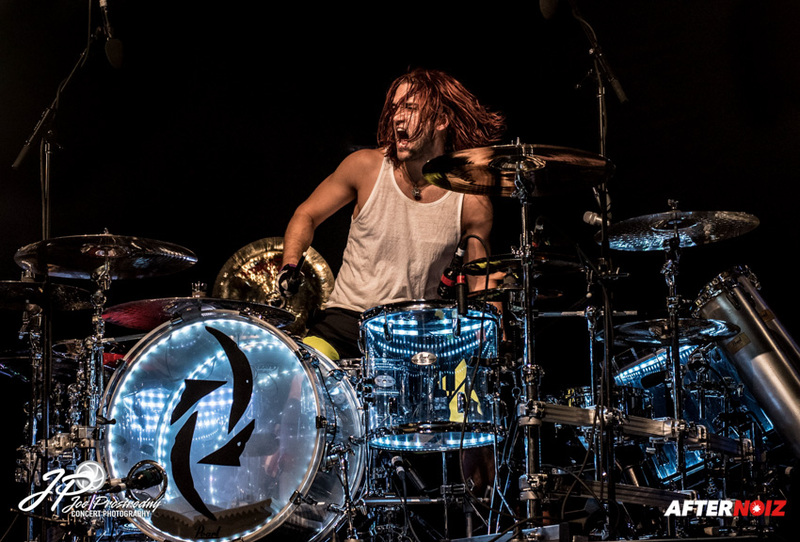 Halestorm hails from Red Lion, Pennsylvania, which is just a hop, skip, and a jump from Baltimore. So this was, in effect, a hometown crowd! 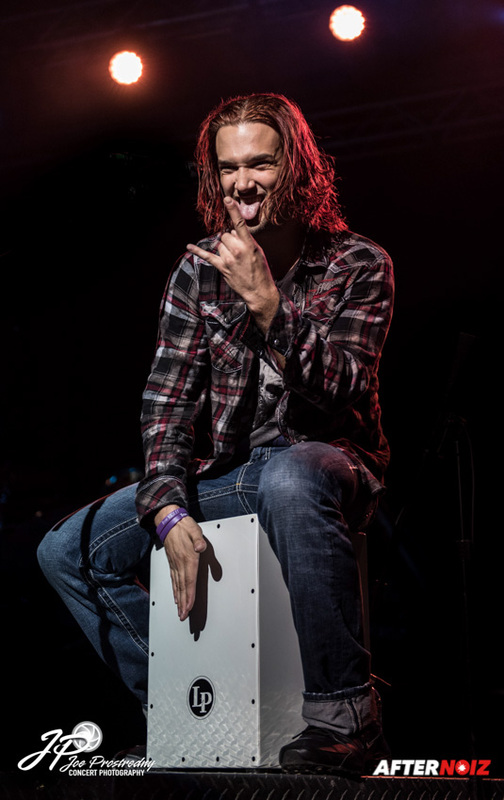 Lzzy’s brother Arejay soon joined her and played a box drum for the performance of “Rock Show”, a normally up tempo song that sounded a little odd played in an acoustic style. Arejay is one of the most animated and crazy drummers I have ever seen perform, and it was obvious he was having a hard time containing himself while seated on his stool. 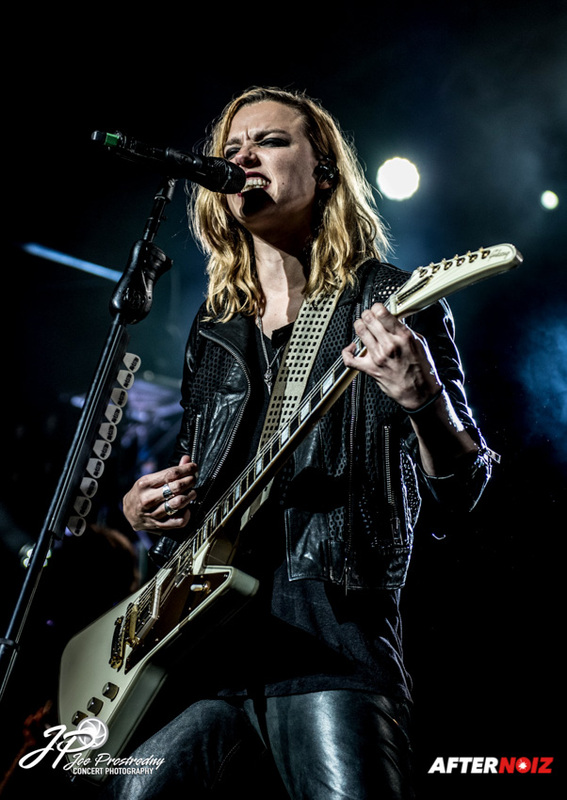 The band’s lead guitarist, Joe Hottinger, and bass player, Josh Smith, soon joined Lzzy and her brother and the set continued with four additional acoustic songs. 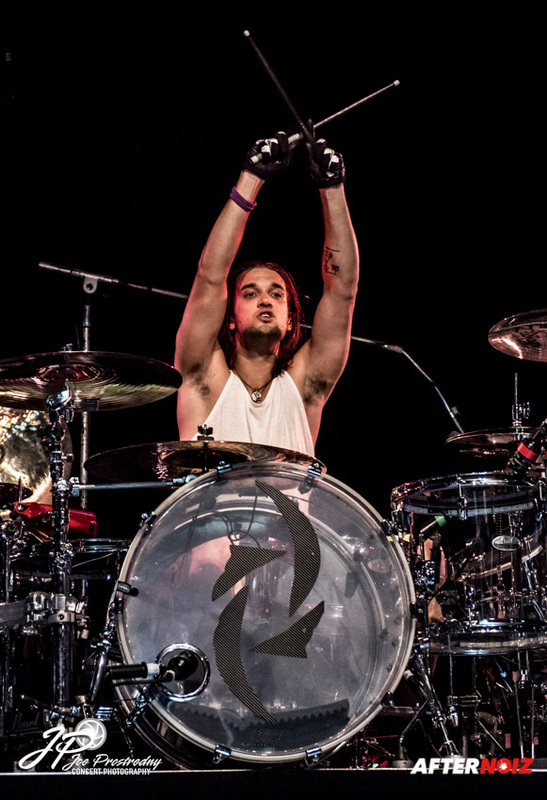 Arejay eventually took his place behind the drums, and in reference to her brother, she told the audience: “Don’t feed the monkey”. 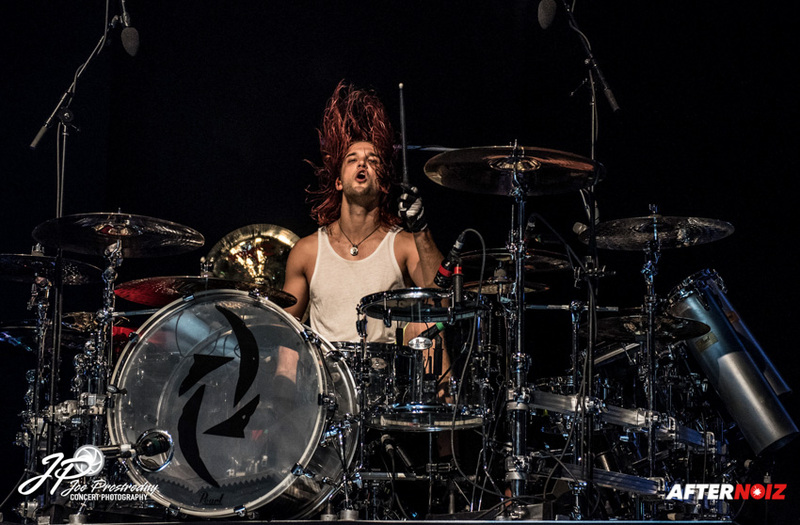 I have to say, Halestorm chose a pretty eclectic set. 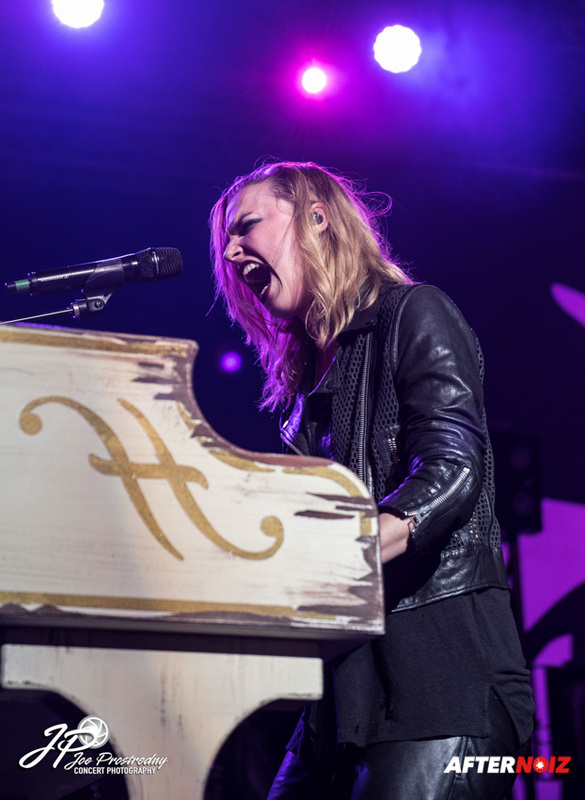 Most of the time, when bands perform acoustically… they usually play songs from their catalog that are more ballad-like… but Halestorm totally broke that mold by giving us acoustic versions of “I Get Off”, “Freak Like Me”, and “Ms. 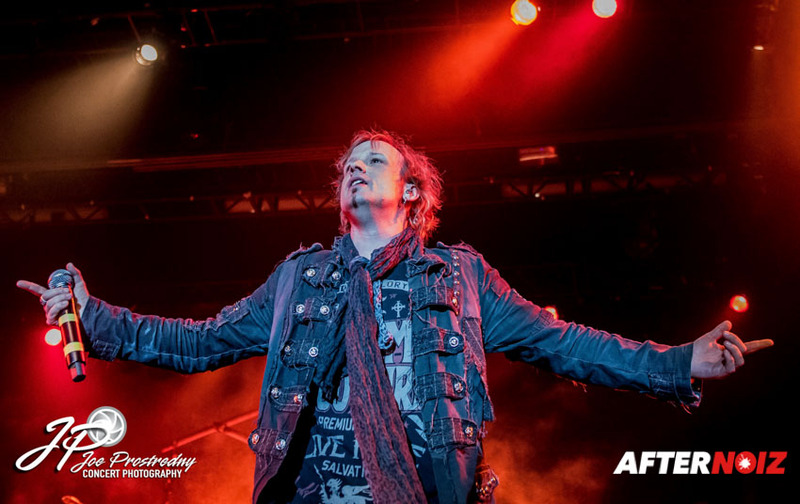 Hyde”. They also played a cover of Fleetwood Mac’s “Gold Dust Woman”, which, for me, was the most stunning song of the set. 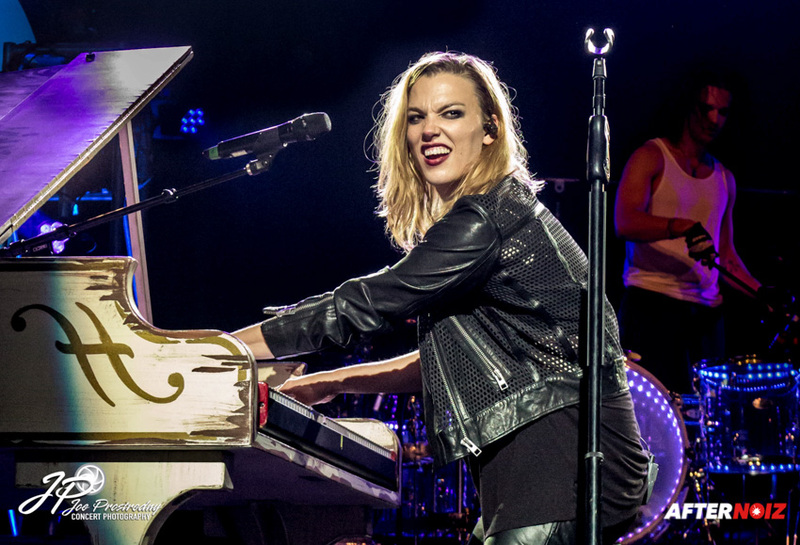 Many people have tried to cover Stevie’s Nicks vocals over the years… but from all the ones I’ve seen and heard… and I’ve heard a lot… Lzzy has been the only one that has really pulled it off. 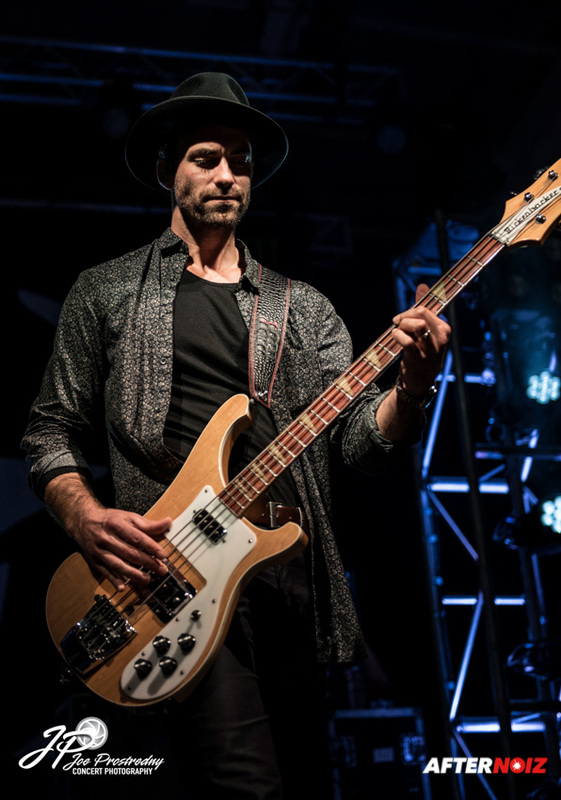 The band left the stage after the sixth song… and the fans were left waiting for the coming storm! When the band finally returned to the stage for their full electric set, the crowd was already in a frenzy. 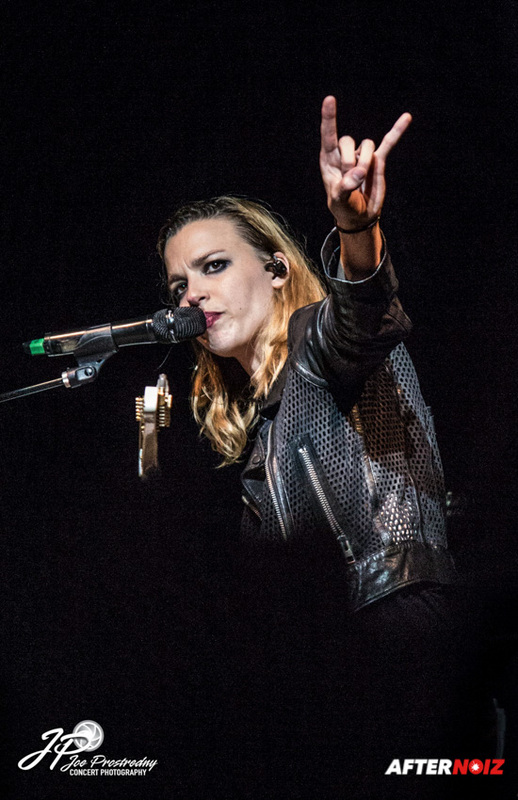 They were then hit with the full brunt of the storm when Lzzy and the boys launched into the powerful “Love Bites”. 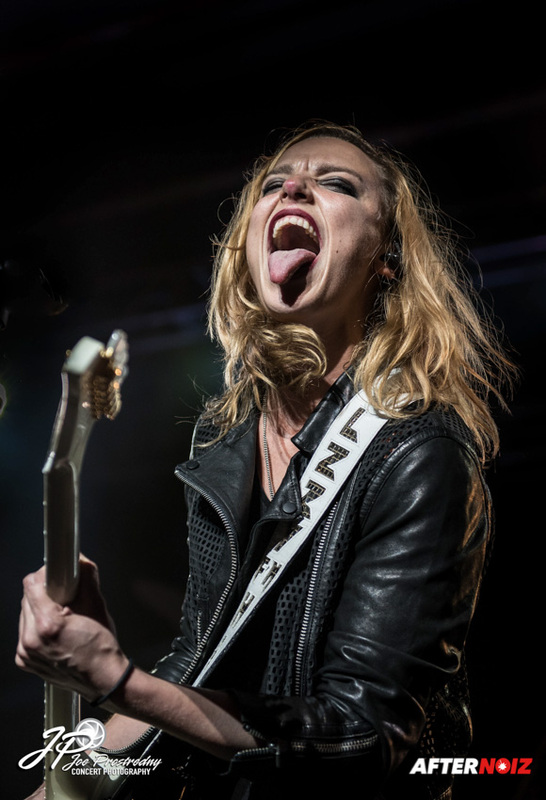 The tone was set immediately as Lzzy commanded the audience to “Make some f*#@ing noise!”… and the fans were only too happy to comply! 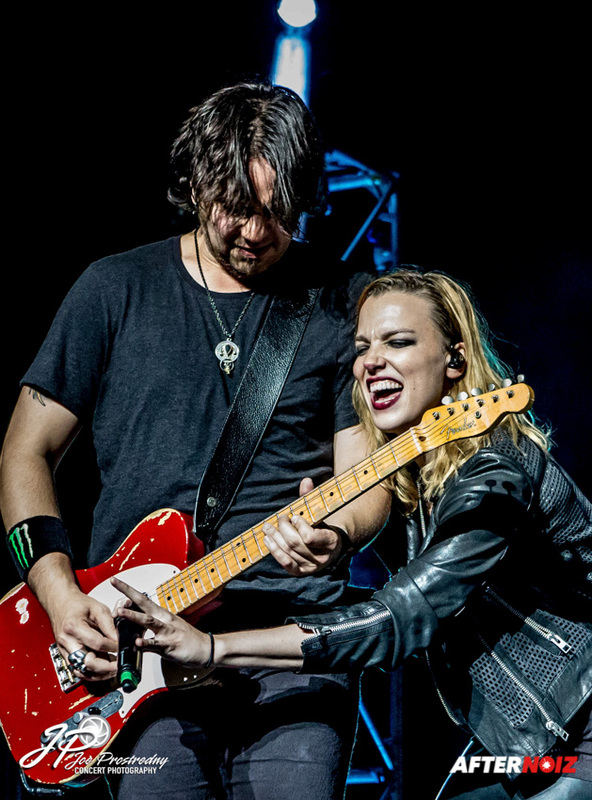 What continued was an epic 17 song set of Halestorm’s signature rock/metal/grunge sound. 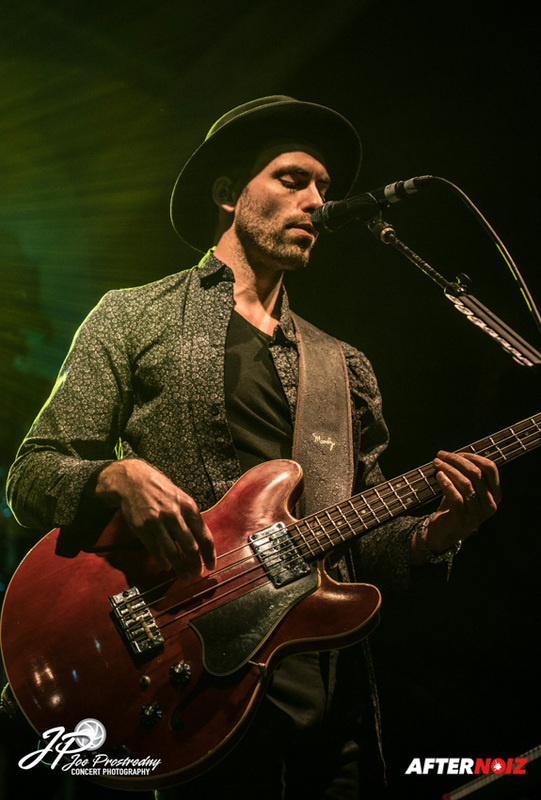 Following the opening song, the band launched into a nine song mini set from their new album, “Into the Wild Life”. These included the songs “Apocalyptic” and “Amen” from their most recent videos. Others included “Scream”, “I am the Fire”, “Unapologetic”, and “Sick Individual”. “Bad Girl’s World” was definitely a crowd favorite, as most of the women in the audience seemed to be singing along! 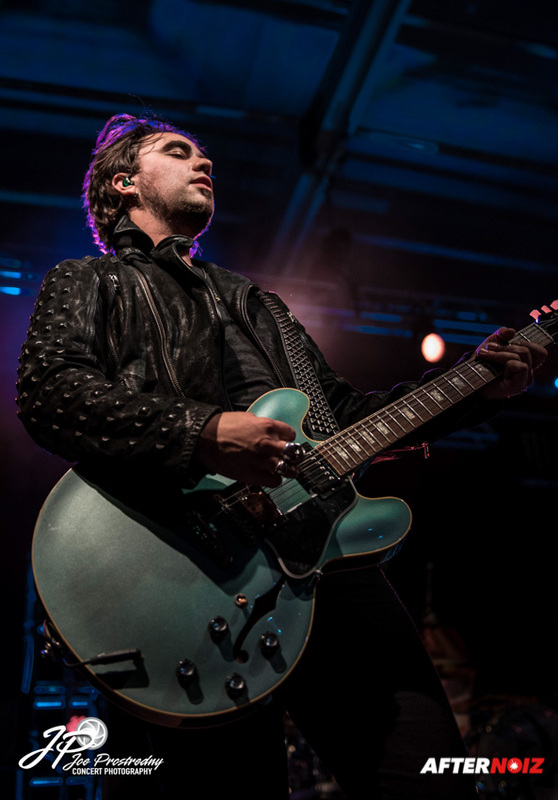 The segment of new songs ended with the energetic, “Jump the Gun” and the hard hitting anthem, “I Like It Heavy”. 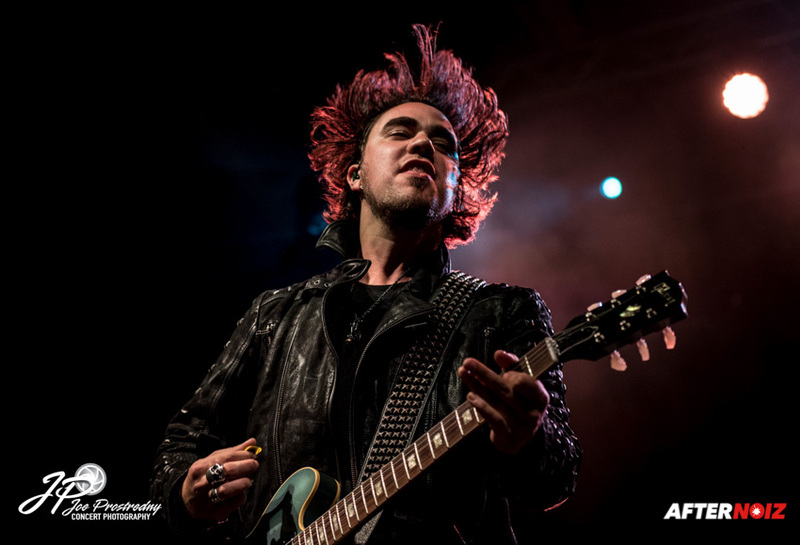 After hearing live versions of the majority of Halestorm’s new album, we took a trip back in time to their first album for “A Familiar Taste of Poison”. 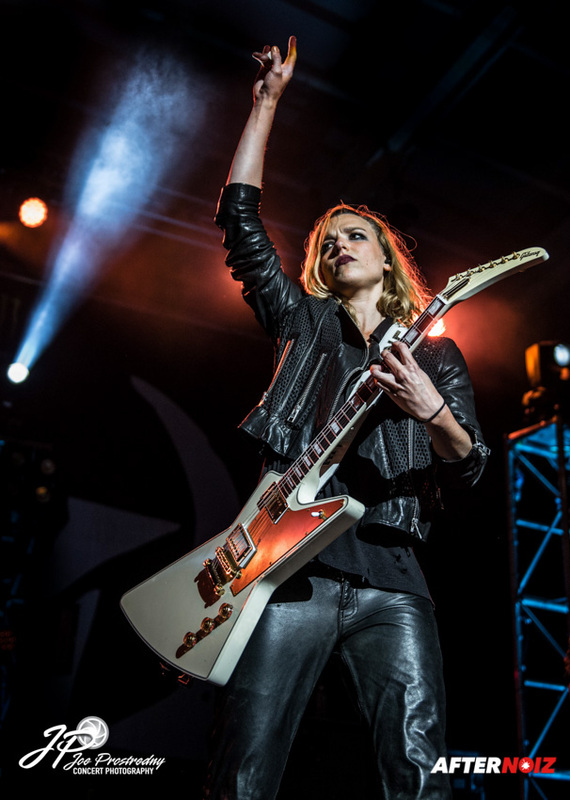 Lzzy encouraged the crowd to sing along and the response was deafening! After the sing-a-long, the show went back to the new album for one of my favorites, “Dear Daughter”… a slow ballad written from the perspective of a parent giving advice to their young adult daughter about life and love. 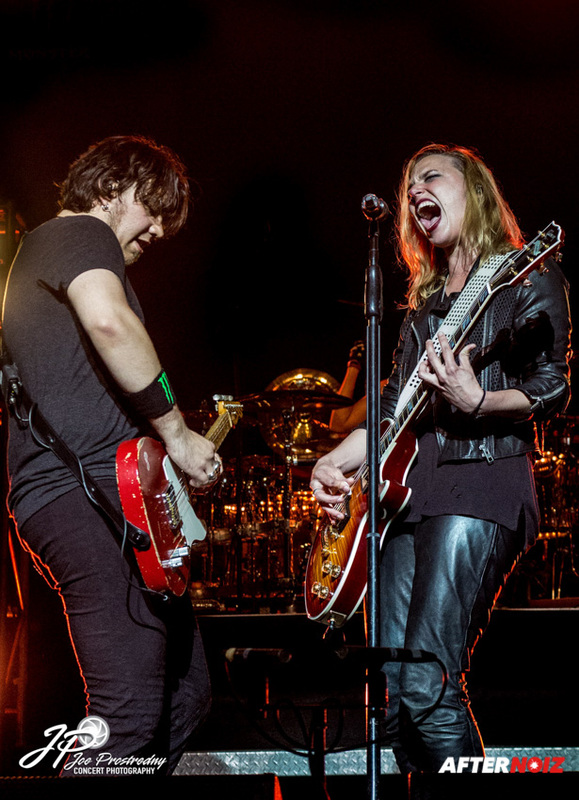 As a parent of two daughters myself, this song has very special meaning for me… and I was so glad they played it! “New Modern Love”, also from the new album, followed. 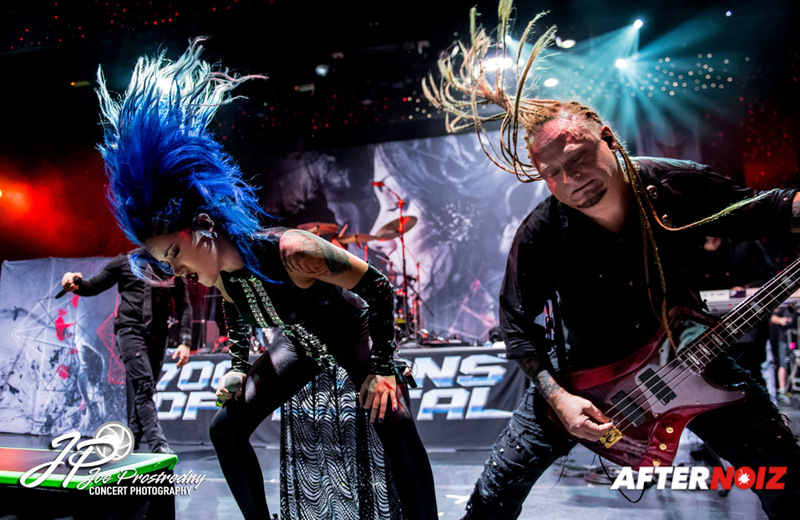 “Mayhem” was the final song from the new album that was played that night… and as an appropriate introduction to the song, Arejay unleashed mayhem with a blistering insane drum solo that involved several moments where he launched himself in the air almost levitating above the drums. 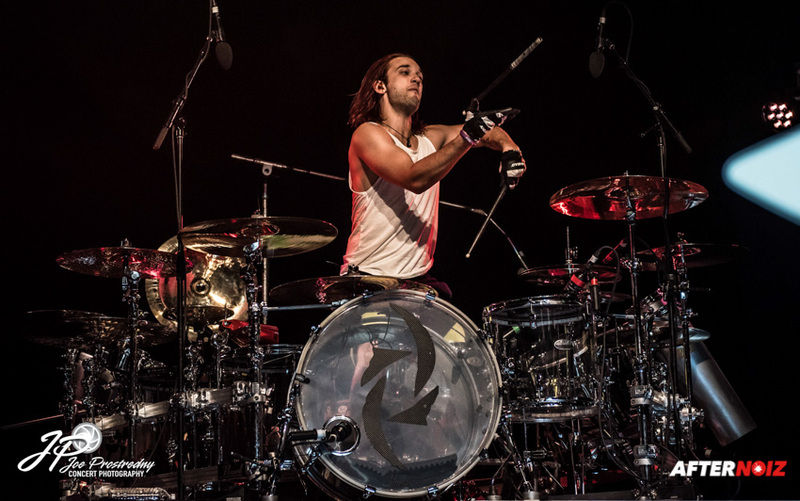 Arejay is one of the most entertaining drummers I have ever seen live, and no Halestorm show would be complete without showcasing his incredible talent. The final three songs were essentially the encore, although the band did not really take a break before launching in to the final moments of the night. 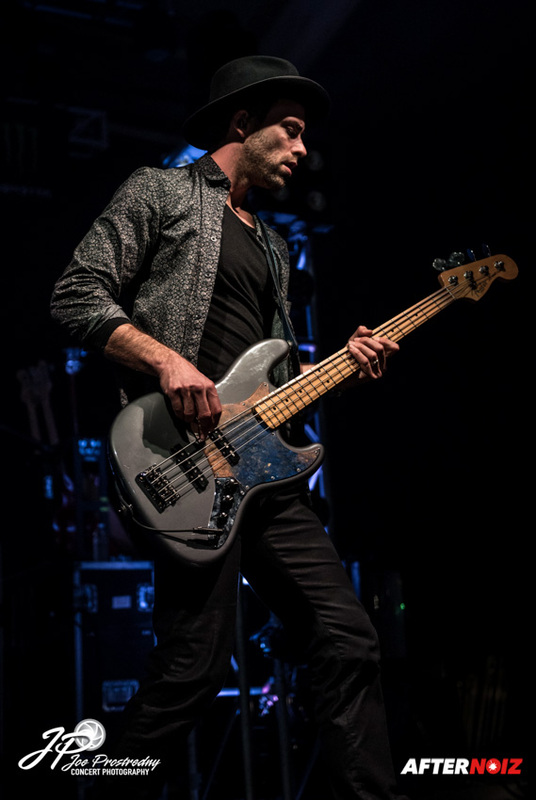 The first was the ever classic, “It’s Not You”, a hard driving rock song that became one of Halestorm’s most popular songs in their early career. Next, Lzzy invited her parents and other family up on stage to toast with shots of Jagermeister brought out by several “Jager Girls” with a large shot tray designed to resemble twin guitar necks. One lucky fan got to take a signed version of this shot tray home as a souvenir of a great night. This was a great lead in the next song as Lzzy toasted the fans and launched into a rousing rendition of “Here’s to Us”. The final song of the evening was the blistering, “I Miss The Misery”. 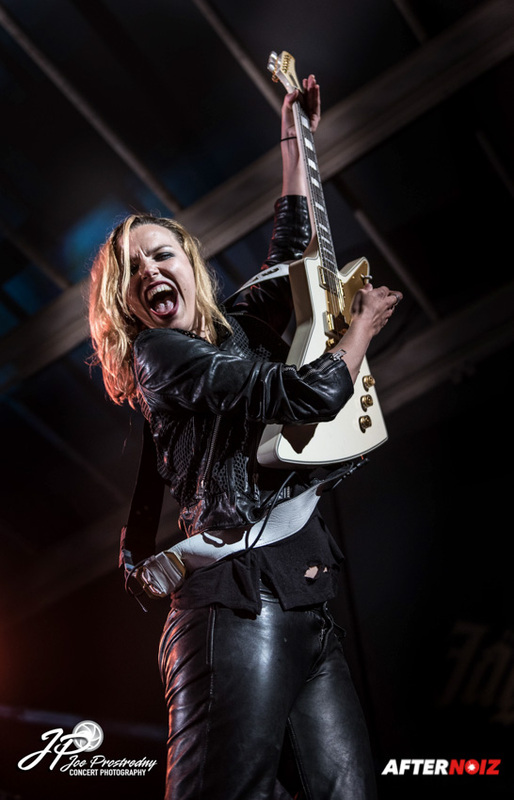 It had been almost 2 years since I last saw Halestorm live… but this incredible night was worth the wait. It was a massive show with a full 23 songs between the two sets. 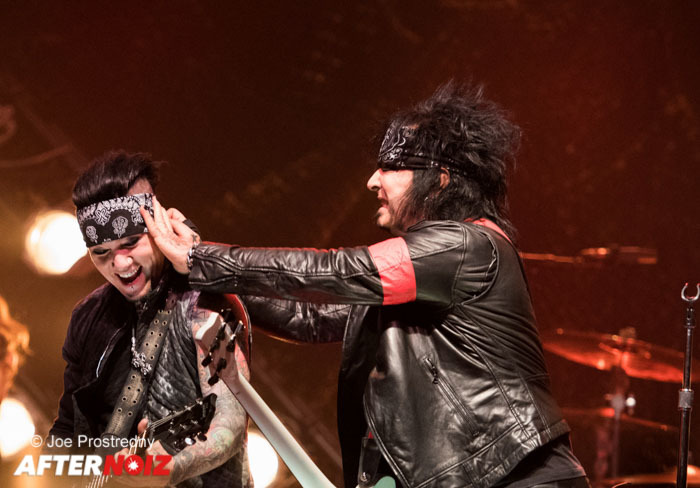 Almost the entirety of the new album was played… I think only 3 songs were left out! All the members were in rare form and gave their all to give us a night to remember! There are still a few days left on this tour, so catch it if you can. It is an awesome party. If you miss it… never fear. 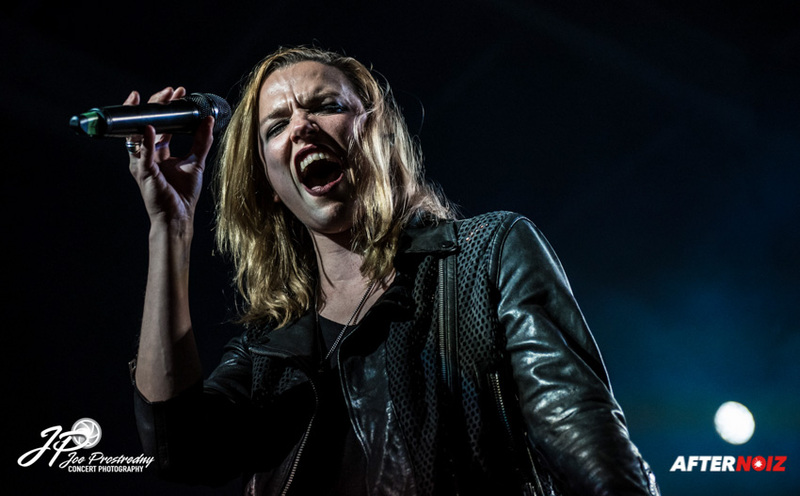 Halestorm is on a massive roll and is showing no signs of stopping. 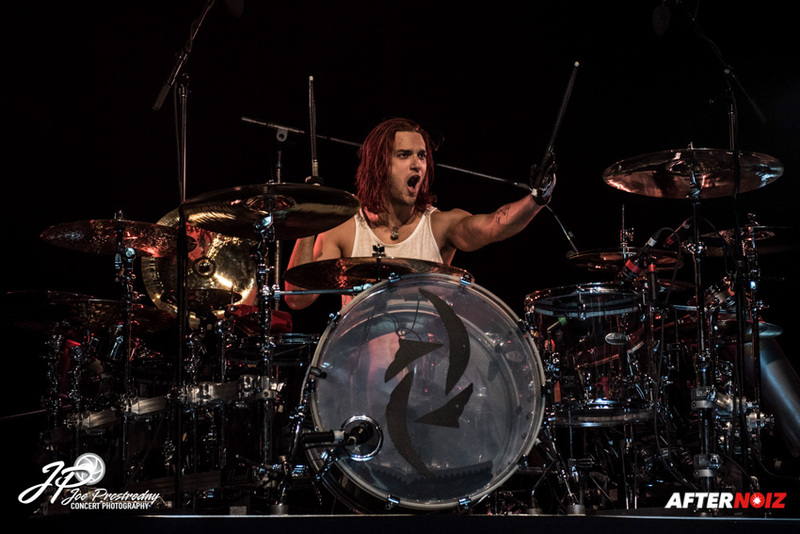 Although it wasn’t played this night… there is one Halestorm song that pretty much describes their approach to their musical career…. “Don’t Know How To Stop”!